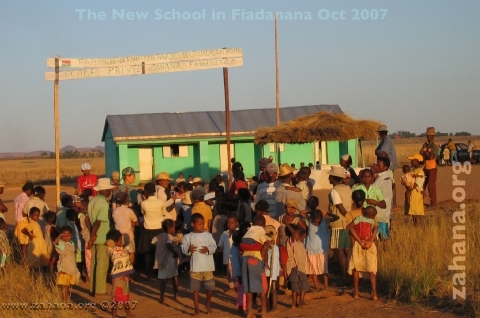 A school for the village’s children was the community of Fiadananas second highest development priority. Until 2005 less than a dozen children had ever gone to school, walking for miles every day to attend school far away in other villages. 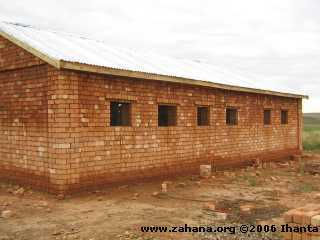 Built with community labor (pictures) and with bricks made in the village, Fiadanana now has its first school, attended by over 150 children (as of May 2008). Zahana hired, trained and committed to pay the two teachers’ salaries for the frist two years or more. 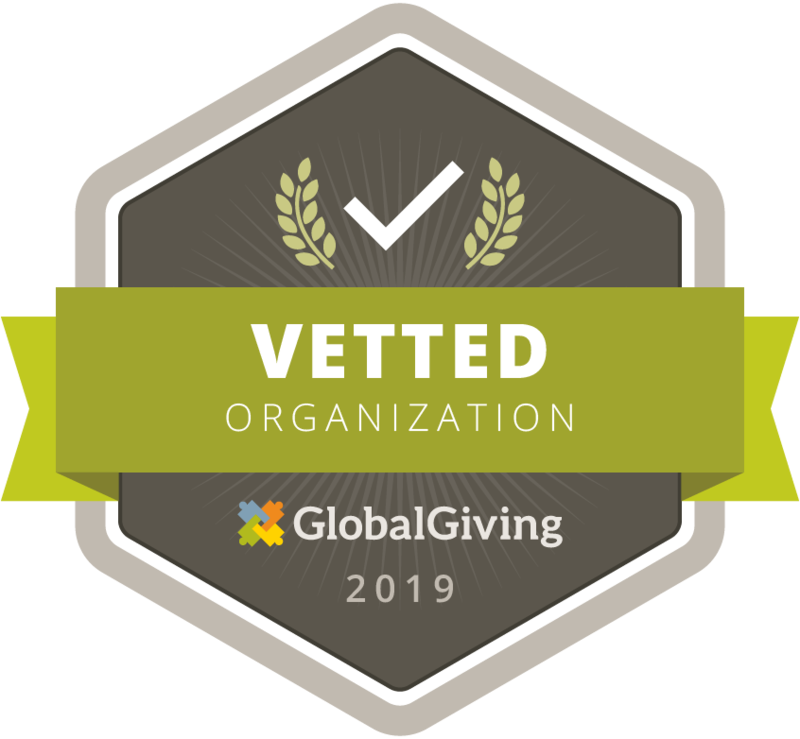 To prepare and train the teachers to teach children who have never gone to school before, an educational specialist was hired who spend six weeks in the village conducting the training. In the meantime the trainer has gone back twice to retrain and strengthen the curriculum. To provide enough room for all students, a second school building is the next step for the community, who started making the bricks in the spring of 2008 to expand the exisiting structure. Building the School: Fiadanana never had a school for its children. With bricks made by the villagers they built their own school building. 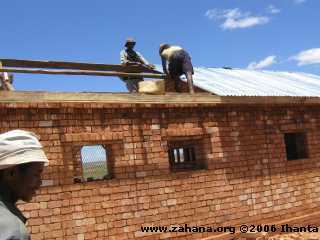 Making the bricks: As a corner stone of Zahana’s approach villagers contribute their labor and locally available materials to all the projects. 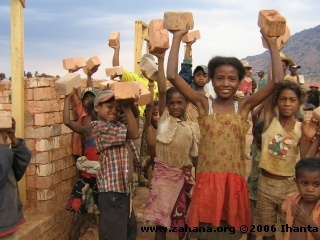 The bricks for the school and the communal rice storage facility were made by the villagers on site.